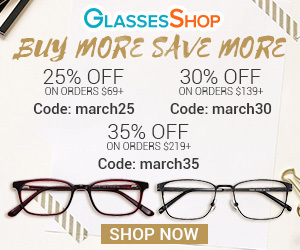 Sharp and edgy, geometric designs can be used in so many ways – from eccentric neon patterns to sophisticated triangle tips. 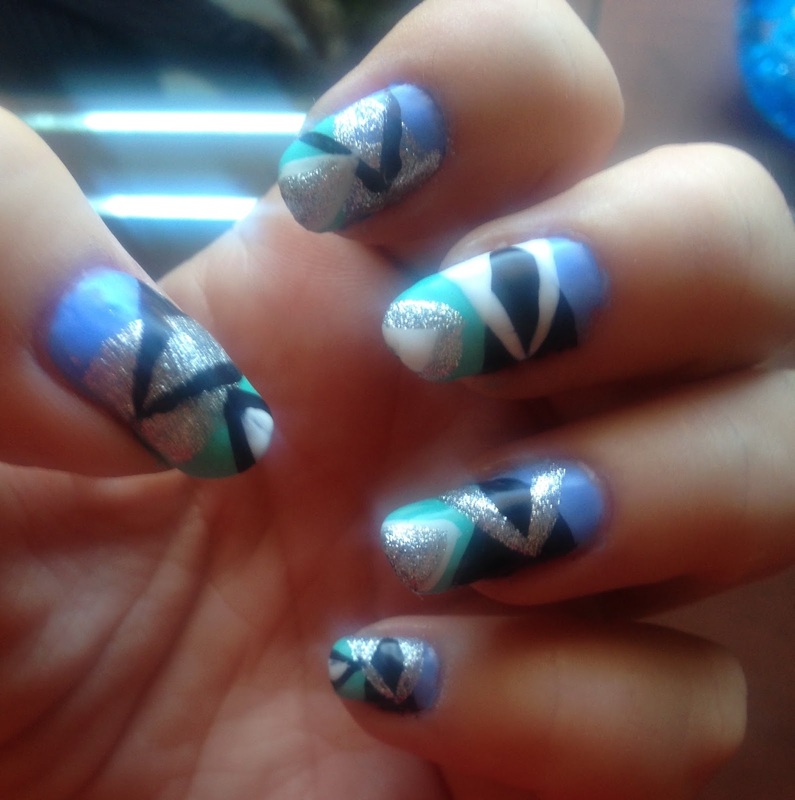 Some nail designs can be intimidating but luckily they aren’t nearly as hard as they look. 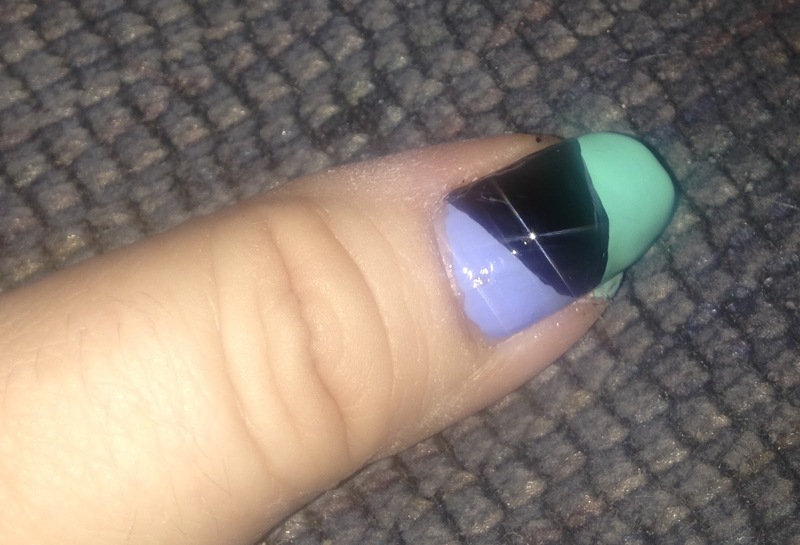 I used a nail striping brush for this design but you can use a toothpick or scotch tape, clear tape or painter’s tape if you want delicate professional looking lines. 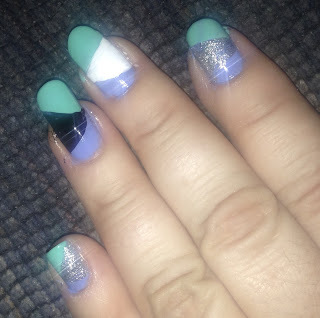 The colors I used were Blue, Green, Black, White and Silver but you can definitely use any colors you want. - Apply a base coat to help protect the nails. 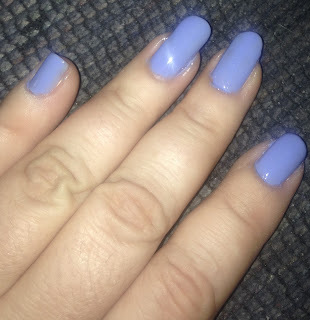 Apply Blue nail polish for a base color. - Using Green nail polish to the tip of the nails on an angle. - Using the Black Polish apply a triangle in the centre of the nail. 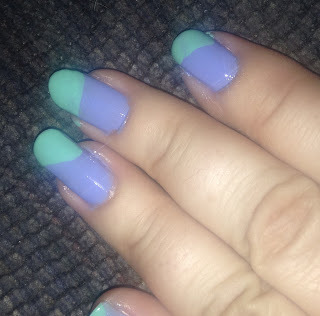 I alternated colors on each nail. - If you want a simple design, you can apply top coat or use other colors to apply more triangles to the nails for an offbeat edgy look. 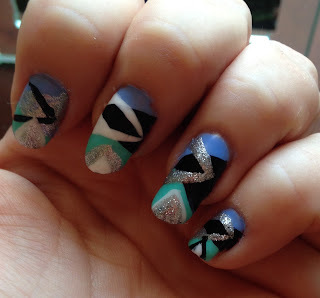 - Apply triangles to the nails in different colors. - Apply a Top Coat for a glossy shine. 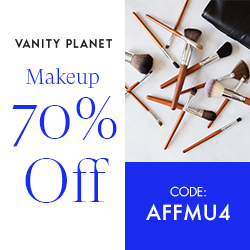 - Optional: Apply a matte top coat for a velvety finish. 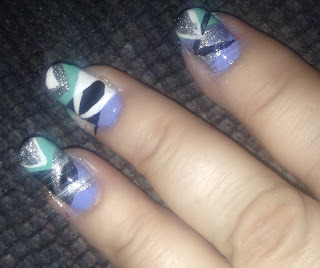 They can be an accent nail, still being a delicate design or on all of the nails, giving you an edgy look.